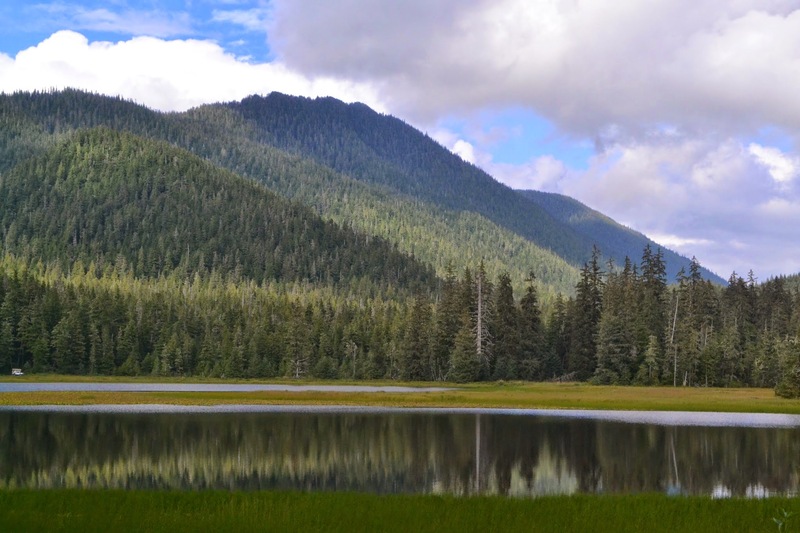 The Pat Creek watershed spans 13,900 acres, one third of which is managed by the State of Alaska while the remaining area is managed by the US Forest Service. Much of the valley bottom in the Pat Creek watershed was logged in the 1960s, 70s, and 90s; about 2,000 acres of timber on federal lands was harvested during that time. These lands were transferred to the state of Alaska in 1991 and are presently managed by the Alaska Department of Natural Resources (ADNR) Division of Forestry and the Alaska Mental Health Trust Authority. 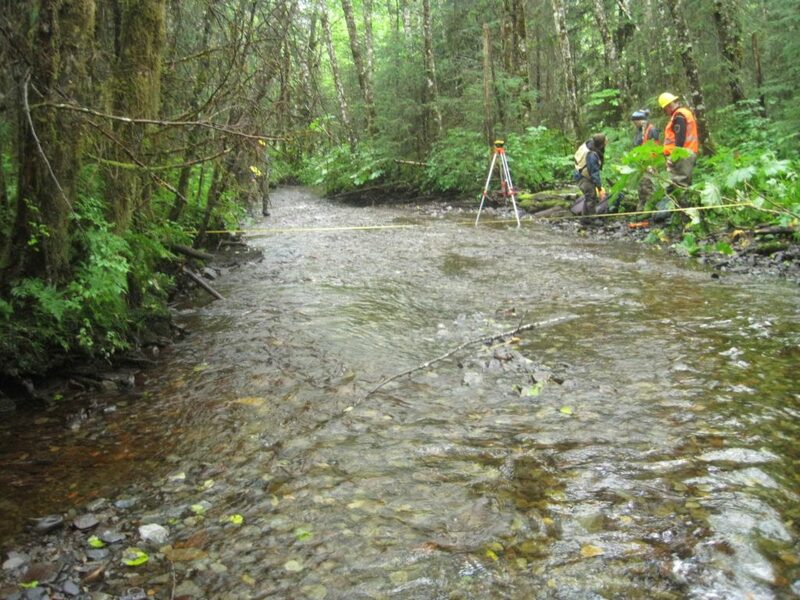 In 2014 the Southeast Alaska Watershed Coalition (SAWC), with support from the US Fish & Wildlife Service and the US Forest Service, conducted a reconnaissance-level assessment of the Pat Creek watershed, 9 miles south of the community of Wrangell. The purpose of this assessment was to improve understanding of existing conditions in the watershed, including stream habitat conditions, and to identify opportunities for improving water quality and riparian and instream habitat. Tier II stream habitat surveys conducted on the lower West and East Forks of Pat Creek indicated that the size and frequency of woody debris (an important component for viable fish habitat) was lower in harvested reaches surveyed than in unharvested streams of similar channel type and size. 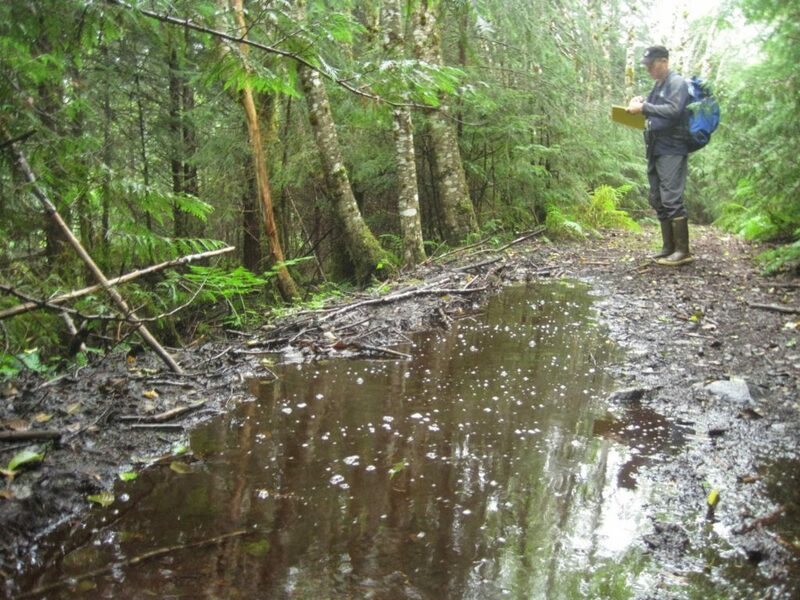 The surveys also indicated a potential restriction on floodplain connectivity within the watershed, possibly due to relic logging roads within the floodplain. 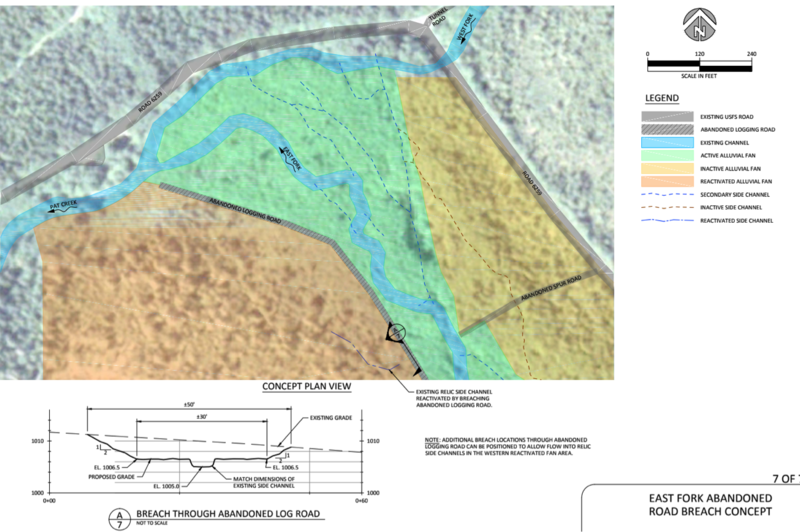 As a result of these reconnaissance-level survey indications, SAWC contracted the services of Inter-Fluve, a firm specializing in investigations, design, and restoration of rivers, lakes and wetlands, to complete a more comprehensive site assessment and develop a conceptual design to restore fish habitat on impacted reaches of the East & West forks of Pat Creek Watershed. In September of 2017, staff with the State of Alaska Department of Natural Resources & the Alaska Department of Fish and Game visited the site to conduct a road survey on “Tunnel Road”, which runs north along the West Fork of Pat Creek. This road is no longer maintained by the state, and the state’s survey results indicated the condition of the road no longer meets state standards. Fish presence was documented at several stream crossings along Tunnel Road, and survey results indicated that deteriorated road conditions may be impacting fish habitat and passage within this watershed. Breaching the abandoned logging road running up the fan at select locations to reactivate access to relic channels is recommended to increase the active fan area and sediment storage potential. 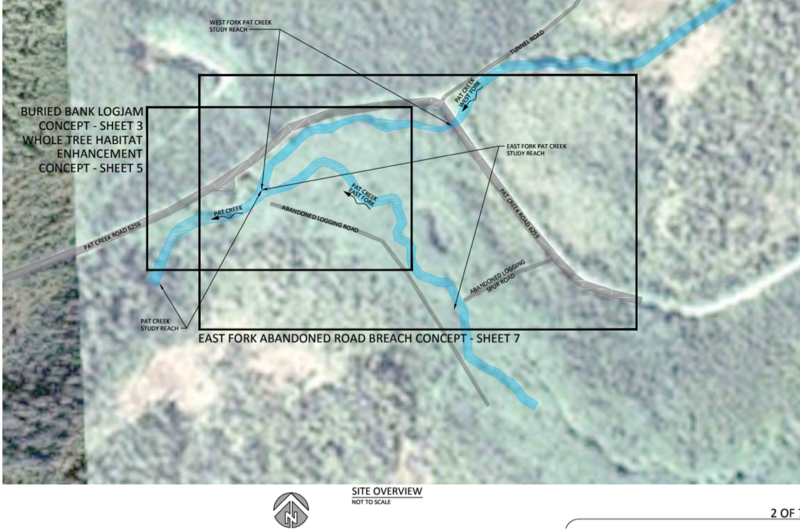 To remove the influence abandoned logging road prisms have on natural fan processes, segments of road embankment could be removed or breached to allow flow access to more of the historic fan surface. Based on field observations, experience, survey and hydraulic model output, a large wood project is possible in West Fork Pat Creek. The goal of placing large wood within the West Fork is to increase the number of key pieces of large wood to maintain complex fish rearing and holding habitats over the next several decades. Over this longer time frame, existing trees can mature and be available for recruitment in the creek. 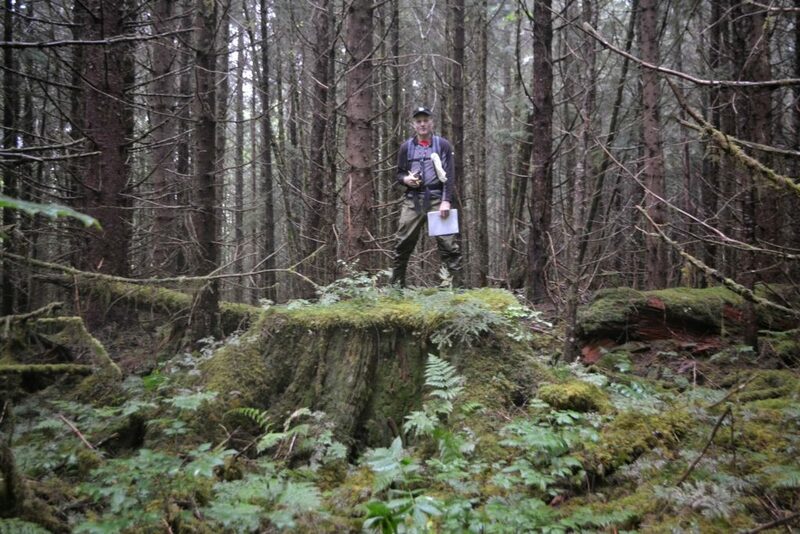 Opportunities exist to improve key piece large wood material using whole trees or by constructing bank buried log jams. The State of Alaska’s road survey results indicate that Tunnel Road is an impediment to fish passage and does not meet state road condition standards. The Department of Forestry recommends that all culverts be removed and the natural drainage courses be reestablished. Additional water bars should be installed at locations between the removed culverts relieving the full ditch line and roadway surface water. Any abandoned vehicles and refuse should be removed. To minimize bank and channel degradation from traffic, a barrier should be installed at the beginning of this road to discourage vehicle access. 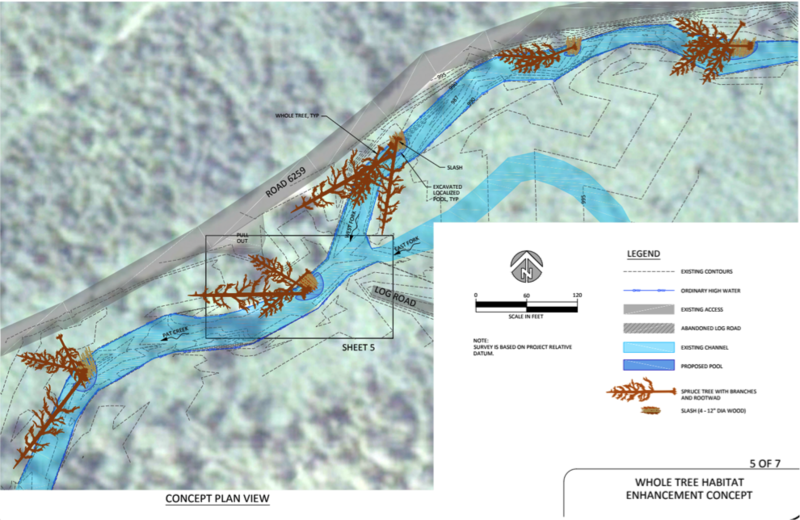 Stakeholder Engagement: This project would not be possible without the collaboration of the many stakeholders involved, all of whom share the goal of improved and long-lasting fish habitat to support the long-term health of this important community watershed. SAWC will continue reaching out to project partners and stakeholders to engage them in the project implementation process. SAWC will also conduct a community stakeholder meeting to gather feedback and input from community members prior to implementing the project. 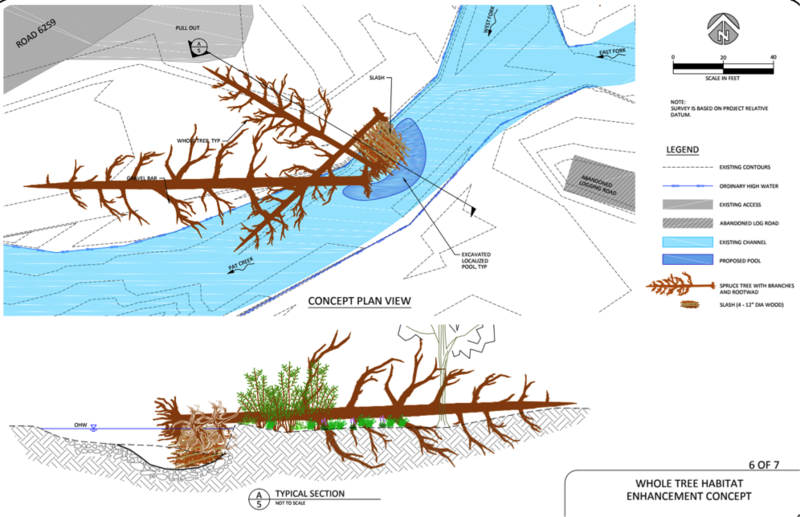 Final Designs: SAWC will contract the services of Inter-Fluve to complete comprehensive engineered designs for the proposed habitat restoration activities. These designs will be used to seek funds for project construction, as well as inform contractors carrying out the projects on the ground. Project Funding: SAWC will begin to seek funds to implement each of the proposed project components. SAWC recognizes that these components may be implemented in phases, dependent upon the availability of project funds. Project Implementation & Monitoring: Once project funding is secured, projects may proceed through permitting processes and implementation. Upon project completion, SAWC and our partners will plan for project monitoring to assess the long term success of habitat restoration within the watershed.